WE'RE PREGNANT WITH OUR SECOND PUBLISHED BOOK !!! Much has happened in a relatively short amount of time since you last heard from me. First, I asked two special friends to read my manuscript once my “unsung hero”, my husband, had completed his insightful critique of my work. Both friends generously offered additional valuable insights from the reader’s perspective. Next, I went back to work revising and even rewriting various segments of the manuscript with the reader’s perspective prominently in my thoughts. Once the developmental rewrites/revisions had been completed, I forwarded my manuscript to the same publisher that published my first novel, All Rise. They contacted me within a few days, stating their desire to publish my second book. They immediately sent out a contract proposal. I carefully read the proposal, signed it and then forwarded the executed document back to the publisher. I am now under contract for the publishing of my second novel, Murder on Murder Creek Road. Whew! I’m sure glad that’s done. Now I can really get excited thinking about holding my second little baby in my arms sometime next year. Since my first born was a girl, I’m hoping for a strong, healthy little boy this time. Sound silly? Not to me! The process of creating a novel in many ways is like trying to have a baby. It’s not always easy for the woman to become pregnant. For some, much perseverance and discipline may be required of the couple in order to conceive. Even though the couple, hopefully, is deeply in love with one another, the actual “act” necessary to conceive may become quite forced, even burdensome, in order to produce the desired result. The passion the couple once felt could become diminished by the regimen, the unavoidable but necessary “work” of becoming pregnant. I’ve always felt a strong passion to write. No matter what was going on in my life, the passion within to communicate with others through telling a story was ever present in my soul. However, once I finally began the tedious process of actually producing a work of fiction, hoping to have it published, the hard work involved did tend to diminish the passion I’d experienced at the onset. Though the flames of passionate desire did dim a bit, they were never in danger of being completely snuffed out. No matter how difficult the conception process had become, once the couple hears the magical words, “You’re pregnant!”, all is forgotten. Their dream is revived. Their hopes begin to soar. The flames of passion are immediately rekindled. That’s what I felt when the publisher offered me a contract. I’m pregnant! I’m going to have a new baby! After a period of gleeful celebration, the expectant couple would certainly realize that they are nine months away from holding their precious off-spring in their loving embrace. During the interim period there will be lots to do to prepare for this new arrival. The preparation process won’t always be easy. Sometimes it may even be unpleasant. But the end result will more than justify any unpleasantries that may occur during the pregnancy process. That’s the way it is with the publishing of the author’s manuscript. In this case, the waiting period is closer to a year. During the waiting – the pregnancy period – there is still much more work required of the author by the publisher. It won’t all be pleasant in this case either. But the end result will more than justify any of the resultant unpleasantries or tedium. When the baby finally arrives and is placed in the mother’s arms, she will probably look down at her new-born infant with pride and joy. All the work, the waiting, the pain is immediately forgotten as she counts her little one’s toes and fingers … as she beams with joy while gazing in amazement at the end result of it all. I remember feeling that way the first time I held my new baby, All Rise, in my hands. I beamed with pride and joy as I looked at the cover, flipped through the inner pages, and then read what was printed on the back cover of my first book. All the work, the waiting and the pain was immediately forgotten. At that moment, all I could see was the end-result. And all I could feel was joy. 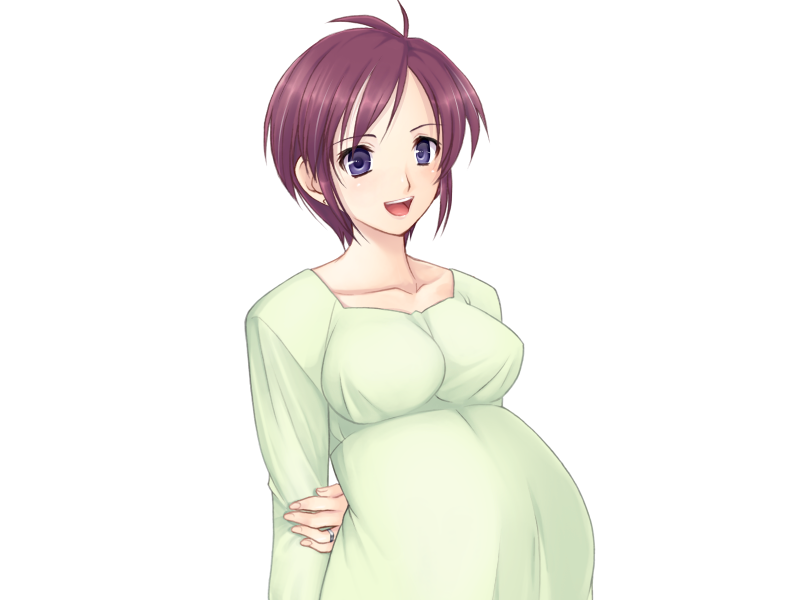 In conclusion, whether it sounds silly to some or not, I’m proud to announce that I’m pregnant again. About this time next year you’ll see me smiling, holding my new baby in my hands. In the meantime, you can find me here at my Kreative Korner. I’m planning to put more emphasis on regular posts pertaining to a few topics I’m very passionate about.